Once the decision to divorce has been made, a number of issues must be resolved during the divorce process. These can include matters such as division of property and debts, child custody and visitation, and the question of alimony. 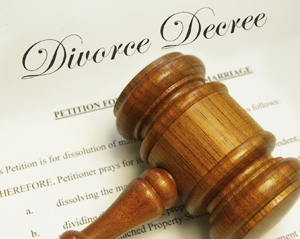 Mavrides Law team of divorce attorneys will resolve these issues through a negotiated separation agreement. If an acceptable negotiated settlement is not possible, the firm will assertively litigate to protect your rights and pursue your goals. Contact Mavrides Law for more information and an initial consultation. Such a separation agreement can provide many benefits to you during and after the divorce process. Generally speaking, the parties themselves have greater control over the ultimate outcome. A negotiated divorce settlement agreement keeps legal costs under control. They can produce less emotional stress and enable children to more rapidly adjust to the new reality of their lives. Most importantly, a separation agreement focuses on the future, rather than the past — by producing practical solutions that can enable you to move forward in your life. Mavrides Law has represented clients in divorce and related matters for more than 30 years. During that time, the firm has represented clients in all types of divorce cases, ranging from uncontested to highly contested divorces. In your case, an attorney at Mavrides Law will review your situation, explain your options and recommend a course of action for you. If it appears that a negotiated separation agreement is the right path to take, your divorce attorney will work to achieve the best possible settlement for you. This does not mean sacrificing your rights in order to achieve a settlement. Mavrides Law will take care to protect your rights at all stages of the legal process — and to craft a fair and practical solution that enables you to make a successful transition to life after divorce. For an initial consultation with a lawyer, contact Mavrides Law. The firm has offices in Quincy and Boston, Massachusetts, to serve you.